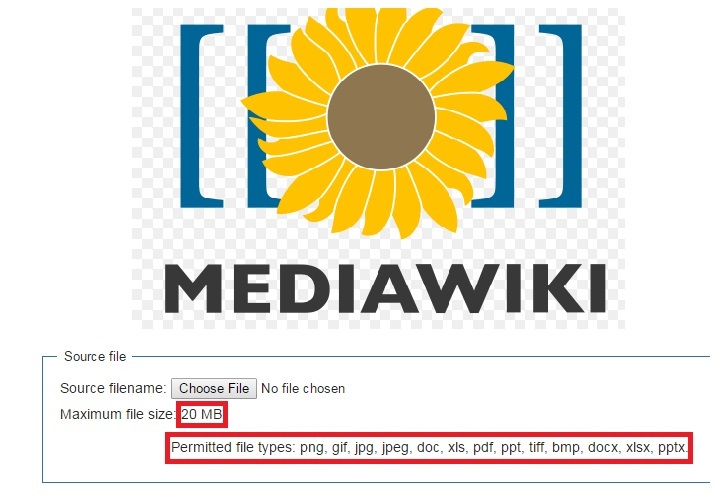 By default, MediaWiki allows user to upload jpg, png, ogg and tiff files that are up to 2MB in size. However, if you wish to upload other file formats such as PDF, PPT, DOC etc…then here’s how you can do that. Moreover, you need to increase maximum file upload size as well (to support larger PDF, DOC, PPT files). The files will be uploaded to ‘images‘ directory under wiki root directory, which should have permission for the web server user. Now the PHP server supports file upload, but you can also control the upload feature in MediaWiki as well. To do that, edit ‘LocalSettings.php‘ and modify the below property. Edit ‘LocalSettings.php‘ and add the below line. Note for the extensions that should be allowed. For security reasons, .exe is not allowed in MediaWiki. That’s it. Checkout other articles on MediaWiki here.